Home Blog Camí Sew-Along: Let’s Start! 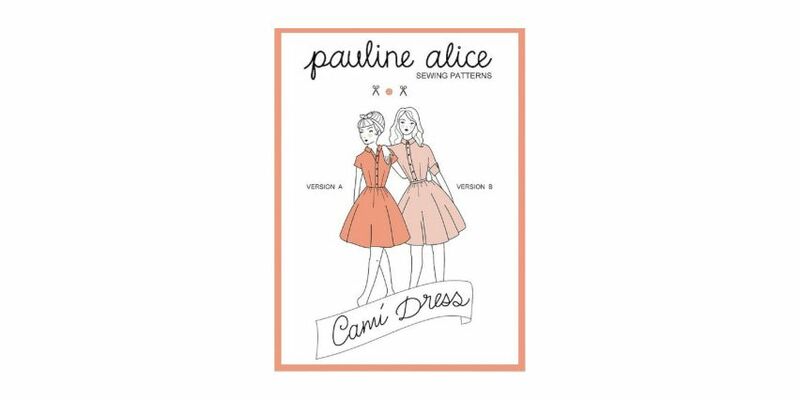 Are you ready to start the Camí dress Sew-Along? Over the next weeks, we’ll be sewing the Camí dress together and you will be able to ask me questions through the comment section of the blog directly. We’ll cover all the steps that are in the instructions but with more pictures and extra details so that the beginners can feel more confident with the pattern. October 25th: The big Camí Parade! And Prize! The new shop is live! Great! Have you already chosen your fabric? Seguro que vas a hacer un cc muy bueno! !. Te seguire de cerca.. .porque no voy a poder hacerlo a tu ritmo…pero seguro que disfruto de ver el resto de creaciones cami! !! Si me sale tan bueno que los tuyos, será genial… No te preocupes, los post siempre estarán aquí. I'm glad! Can't wait to see what fabric you have selected! oh que bien!! hay tiempo entre pasos para las que queremos abarcar más de lo que podemos!!! Si, así cada una va a su ritmo! I have just ordered some chambray and have plans to add a contrasting print fabric to the cuffs. 1 question – can you give some tips on how to lengthen the bodice? I think the pattern will be a little too short for me otherwise. Thanks. Great! Chambray would be amazing for the fall, add some tights and a cardigan and there you go… you can even wear your dress during winter. I will cover the adjustments on the next post, that is Saturday 21srt. We'll see how to make Small/Full Bust Adjustment, shoulder adjustment and how to lengthen the bodice. But the best thing is to always make a muslin, at least of the bodice. Juste une petite question : je lis l'anglais et l'espagnol mais je suis une grande, très grande flemmarde, je voulais savoir si vous prévoyez une version française de votre sew along ou si je devais vaincre ma flemmingite? J'y pense car comme le patron est disponible en français, je ne voudrais pas laisser les lectrices françaises de côté. Je ne veux pas non plus saturer le texte (3 langues ça devient un peu beaucoup) mais je pense insérer une version française au moins pour le Sew-Along. J'ai hâte de voir le tissu! Oui, oui, du français s'il vous plait. Yo esta vez no me apunto, voy a estar una temporada sin hacerme ropa me paso a los complementos por un tiempo. Pero voy a seguirlo muy atentamente que seguro que aprendo muchísimo.